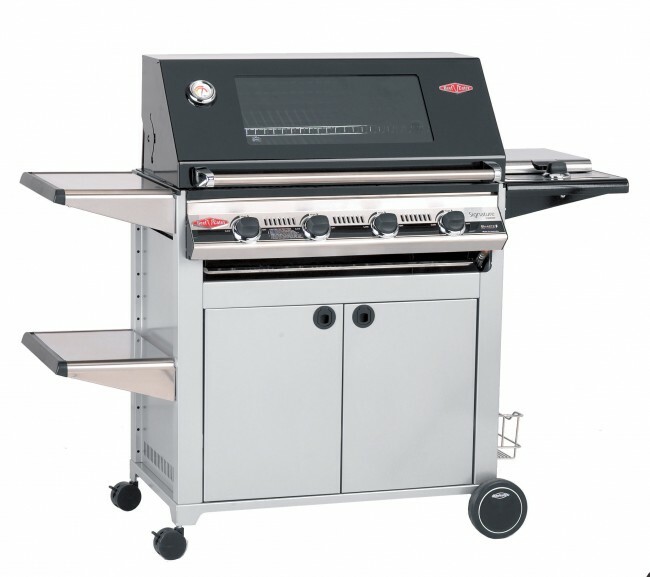 The Signature 3000e 4 burner gas barbecue is packed with features that will turn any shindig into an unforgettable evening. You’ll be a legend in your own lunchtime with everything you need to create that special signature dish. Four powerful burners, a roasting hood made from durable porcelain enamel rust-free cooktops, quartz start ignition with robust stainless steel trolley and adjustable height shelves. A side burner is available as an optional extra.